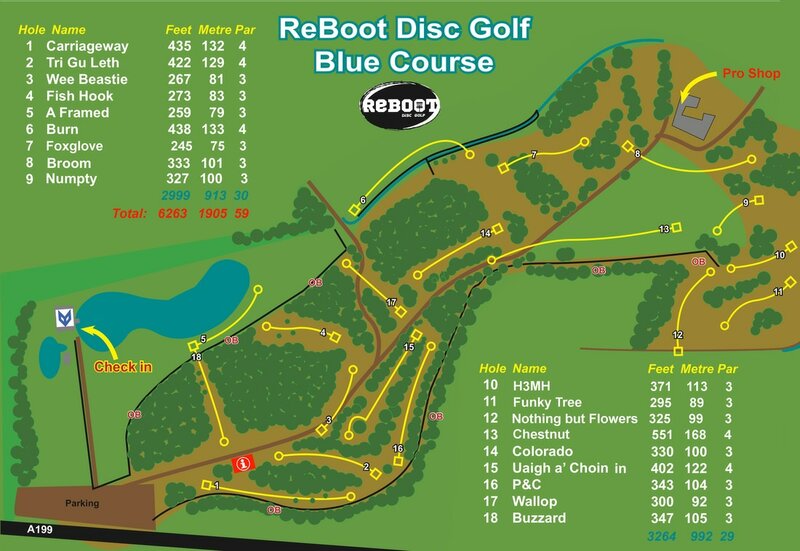 ReBoot Disc Golf Course is located at Foxlake Adventures in Dunbar Scotland. We are open from sunrise to sunset, 7 days a week. We are proud to have built this course to support families as well as the advanced player. We will be hosting clinics, leagues and tournaments throughout the year for all ages and abilities. We have available an 18 hole Green family course and 18 hole Blue Championship course, the Green course is perfect for family fun and presents more friendly challenges. On the Green course there is no 'out of bounds' and the players do not throw over the water. Just use a scorecard provided in the kiosk to circumnavigate the course from tee to basket to the next tee. The 18 hole Green course consists of mostly 30-40 meter lenght fairways and is perect for learning our sport and family fun. When your skills have improved and you can score 60 or less on our Green course you are ready for the challenge of our Blue course. 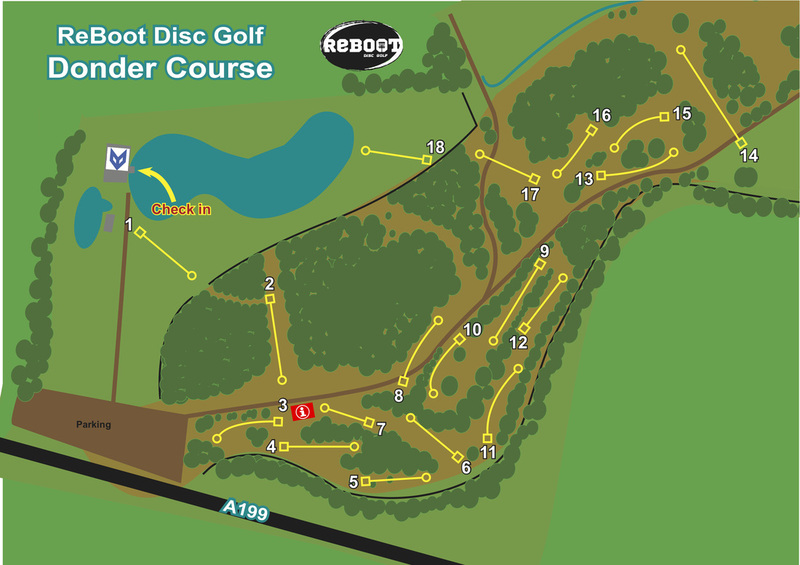 This course presents a water hole, longer more narrow fairways and a few 'out of bounds' challenges. The Blue course plays roughly 1842 meters (6044 feet) and is Par 58. We offer discs for sale in our pro shop at the Fox Den, we stock the latest popular golf discs, bags, equipment and apparel in our Pro Shop on this website. Or simply unwind and watch, or participate, in the wake boarding fun while enjoying something delicious from the Boardside Cafe. We can offer a brief introduction about the sport and how to play or by appointment arrange a tutored round and/or coaching. 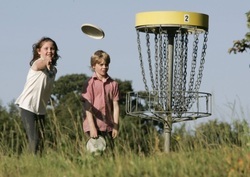 Come on in and enjoy a day of Disc Golf and Wake Boarding set on the beautiful grounds of Foxlake Adventures.